Did you know you can personalize Google Keep with custom images to create visually driven notes and lists? 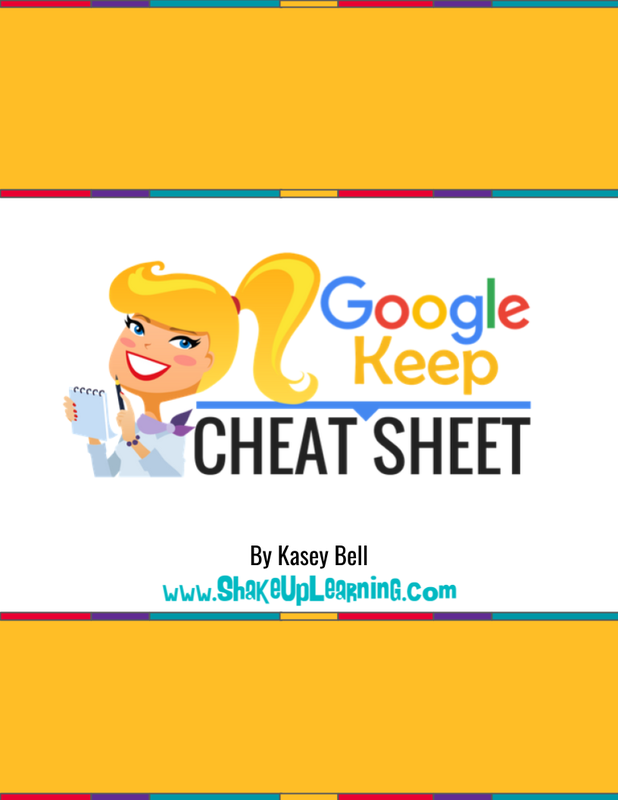 Google Keep is a powerful tool for the classroom and is much more than just a place to store your to-do list. For a detailed list of ideas of ways to use Google Keep, check out my post: 15 Ways for Students to Use Google Keep [infographic]. We all know that images are a great way to help engage students, and can offer visually ways to interact and organize information. Adding custom images to lists and notes can help students visually recognize information faster and add some fun and personality to their Google Keep notepad. In my student example below, I wanted to show how this can be used. Students could organize their notes by class period, daily tasks, learning goals, etc. After you have created your image, use the download button (near the top-right) to download your new creation. It’s easy to add an image to a note in Google Keep. Just click on the image icon and upload an image. Voila! Of course, there are many other ways that you can use images in Google Keep. Check out my Google Keep Resources page and Pinterest board for other ideas and resources. What are your favorite ways to use Google Keep? Please share in the comments below. Did you know you can personalize Google Keep with custom images to create visually driven notes and lists? This post will show you how you can use the power of images to personalize Google Keep to fit your needs and the needs of your students.